Neil moved to Redgrave 7 years ago and purchased Knoll Cottage next to the Cross Keys. Having spent 12 years living and working in America where he missed the atmosphere and community spirit of a traditional English pub he was especially keen to buy a house in a village with a pub. Neil lives with his wife Sam and two young children. He has a degree in agriculture and has worked for Shelbourne Reynolds in Stanton for the last 23 years and is now Sales Director and is also heavily involved with product development, design and manufacture. Neil joined the Parish Council 2 years ago and is now Vice Chairman. He enjoys DIY, walking cycling and most outdoor activities. Neil is committed to raising his young family in Redgrave and is keen to contribute as much as possible to help turn the Cross Keys into the traditional village country pub and community hub that the village deserves it to be. Andrew Dickson has lived in the village for the last 17 years and is keen to see the pub re-established as the heart of the community. He owns a financial planning firm in Rickinghall and it looks inevitable he was going to end up as treasurer of the organisation. His interests are ranging across gardening, model building, stamp collecting and a bit of painting, amongst other things. Julie moved to Redgrave in 2012 and believes the pub is in an ideal position to become and should be the hub of the village. Julie now retired spent her career in the finance sector including 6 years with the regulator. 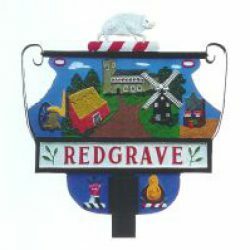 Julie is also chairman of the Redgrave Community Shop committee and secretary to the Redgrave Garden Club, she also actively supports many of the other village clubs. Fiona retired to Redgrave with her husband in 2013. Previously, she had been living in Cardiff for 16 years where she worked for Cardiff University as the Finance Manager within the School of Postgraduate Dental Education. Before her move to Wales she was the Bursar at an independent boarding and day school in Hertfordshire for 7 years so her background is predominantly in finance. Fiona is an active member of the local church. She also works on the editorial team for the Parish Magazine and is Treasurer of the Mill Lane Allotment Association in the neighbouring village of Rickinghall. Rosie has been working as a volunteer since the Keys opened. She loves the friendliness and wonderful atmosphere that is created by all who work there, and is very interested in helping the Keys move forward to become even more successful. She has served as chair on several committees and believes her experience plus absolute faith and commitment in the Keys will be of use.